If you have any problem password administrator when you install drivers or software, configuring hardware, uninstall programs and system files, then you do not have enough access rights. Password to pick up useless — it may take years. Windows 7 account administrator is not active, but it can be run from safe mode. Then restart the computer. At the time of system boot, press F8 a few times to catch the right moment. Thus, you display a list of boot options of the operating system. Select "Safe mode" and press enter to confirm your choice. To boot in this mode, the system will take a little more time than usual — this is normal. Wait until the system loads all the files. Don't forget that in safe mode, all startup programs are fully disabled. Will appear the welcome screen with user icons computer. Locate the account administrator and click it with the mouse. If you no administrator password is not set, the login will be executed automatically. Also, the screen can be multiple accounts of the personal computer. You need to choose the account that has the rights of administrator. If you can not go through it, then go through another entry. Go to "user Accounts" and change the settings of your account. Install the right administrator and also set the password for this account. Send the computer to restart. Once the computer restarts you will be able to action the administrator of the personal computer. With this you can restrict other entries, to create new accounts and edit existing ones. You can now perform any action in the system under your account, and the annoying password request pop up will not. Also disable user account control notification and security center, and nothing else will distract you from working on the computer. The security settings of the operating system and the computer in General is a very important process. But sometimes people fall prey to his desire for security, for example, forgetting passwords. To change the passwordset for access to the computer or the operating system in several ways. In some cases you will need to enter the old password, in other situations, this is not necessary. Let's start the process of removing protection from your computer with the very first password that may appear when you turn on the device. This password must be entered immediately after starting the computer, because it blocks access not only to the operating system, but also to the BIOS menu. Let's say you know the password and want to change it. Press Del to enter the BIOS. Enter the required password. Locate items in the Set Supervisor Password or Change Password. Press Enter. Enter the old password. Twice enter a new password. Click Save & Exit. Now consider a situation in which you don't know the password. Turn off the computer. Remove the left wall of the system unit. Locate the small battery in the shape of a washer. It is located on the motherboard. Remove the battery from the slot. Screwdriver to short the contacts in it. Return the battery. Now when you turn on the computer, the password prompt will stop appearing. Go into the BIOS and set a new password (if required). Let's consider a situation when you need to remove or change the password of the administratoryou want to use to log into the operating system. 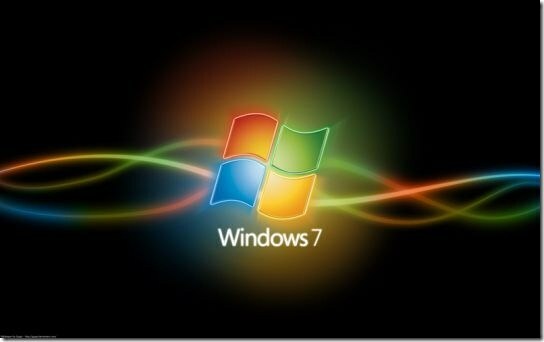 If we are talking about Windows 7, then it can be done knowing the existing password or by using a different account. Open control panel and go to "user Accounts". Select "Change password". Keep old password and twice new. Let's say you have on the computer there are two accounts with rights of the administrator, to one of which you know the password. Go to the OS using this account. Open the control panel. In the menu "user Accounts" click "Manage another account". Select the one that you want to change the password. Click the "Remove password". Reset the OS using the second account. Set it to a new password. All new limited account has been created. You can restart the computer and see how our account. If you want to change the account picture or edit it in a window "user Accounts" select your account and follow the links. I wish You that your confidential information was only to your. How to put a password on the computer. How to put a password on the computer. Regulation of access to the computer through user accounts in Windows XP. Computer protection, protection of information from accidental user. All new limited account has been created. You can restart the computer and see how our account. If you want to change the account picture or edit it in a window "user Accounts" select your account and follow the links. To recover your account in several ways. But you need to consider some nuances. You may have deleted the account record, blocked or temporarily stopped. So, if you follow the technical recommendations, it is possible to unlock. Try to unlock the account via a server of the respective website. However, you should know information about your account, namely: the address of the e-mail and login. In addition, you need to have an additional address to mail you provided when you registered. In this case, your e-mail will send a notification with a different pass word. But if the profile is blocked by the administration of the web resource, this method will not help. You will have to apply personally to the administrator of the web site. 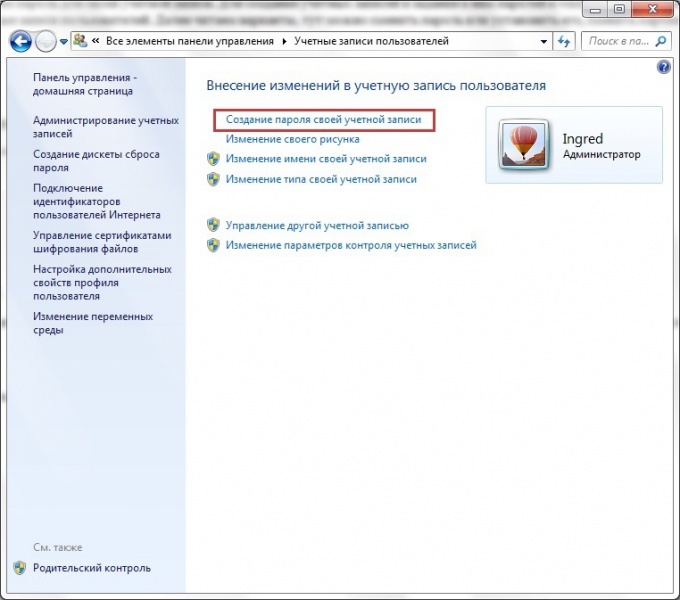 Look at the web portal of your contacts (email, ICQ number and phone number), which you can contact customer support. Provide the following information: nickname, date of registration, email. Explain to the administrator and the reason for blocking the account. If you don't know what happened, when communicating, consider this. Perhaps your accounting entry blocked due to some violation of the rules of the website, the situation will be complicated. In the dialogue, be courteous and very correct. Do not speak sharply to the administration. Tell them that this won't happen again. As a rule, in such cases, you will be able to access the account. Try to unlock your profile as a result of failed attempts when logging in to the web resource. Some services block the account due to an invalid authorization. Try to use the password recovery. Make a note of the code word, and then confirm the transaction via text message. In certain cases it is necessary to call support of the web resource. Please note that the account may be blocked by the virus. On the monitor there is a banner that informs about the payment to number monetary amount. Ignore such notifications are just tricks of swindlers. Download antivirus program and remove malicious item. Before you register on any site, think secret question, write an additional E-mail alternatively, if your account will lock, for example, in the postal service. Run a full check OS for malware. To do this, use a good antivirus such as the free version of CureIt, paid Kaspersky Internet Security, AVZ utility.